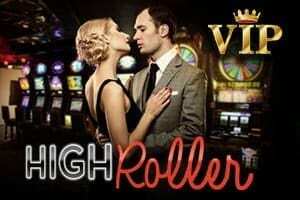 Have you taken advantage of the VIP programs provided by your online casino operator? Maybe the first question should be, are you an ardent online casino player? Do you spend most of your time gambling? If the answer to the last to questions is yes, then let’s go back to question one and take it right from the bottom. 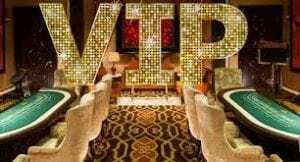 What are online casino VIP Programs? 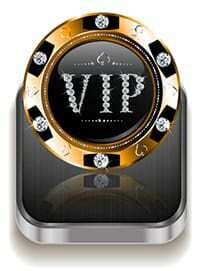 VIP programs are loyalty schemes that rewards consistent and high roller gamblers. Amongst many other great benefits of this programs, the player has is awarded with points that they can exchange or redeem for other goodies. 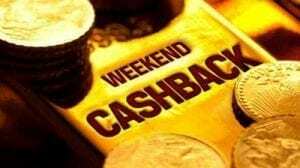 Apart from these goodies, other benefits include cashbacks on losses, generous bonus offers and special promotions. The specific details of the points and the reward system depends on the casino that you are playing with. As you search for your ideal casino, it is thus recommended that you check out the terms and conditions of the site you are on so that you learn more about their loyalty programs. Get the details of number of points that you will be required to accumulate so that you can navigate from one level or VIP status to another. If you are impressed by what the casino has to offer, then can as well sign up with it. Loyalty programs and clubs offers differ from one operator to another. However, the common underlying factor is that any person willing to join them needs to have the capacity to make huge deposits. There are two ways to this; you either make one big deposit or make several deposits that lead to a large accumulated amount. There are also other operators that automatically sign up their new members for these programs. 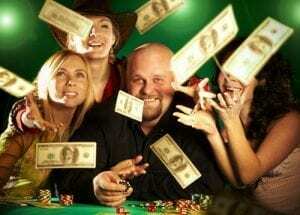 In such cases, the newbie begins from a basic VIP level and depending on their subsequent deposit and bet amounts, they rise through the ranks to occupy the cream-de-la-crème of the casino’s VIP programs. In most cases, the loyalty programs are categorized into three; Bronze, Silver and Gold. The god thing is that you do not have to stagnate in one level as you can make huge deposits and occupy the Gold section. When you get to the highest possible point, you are assigned a dedicated account manager to give you personalized attention. This manager will be responsible for ensuring smooth running of your account. You have a direct connection to your manager around the clock. You won’t even wait on the line for long before your call is answered. This is a privilege that only a few get to enjoy in the online casino industry get to enjoy. As a VIP you are sure to receive frequent invitations to exclusive events that only those of your cadre can access. Such events include but are not limited to competitions, tournaments, trending and trending events. You also stand chances of qualifying for international events where you will have access to 5-star luxury hotels, great meals and many other fan perks. At this point, majority of your services are tailored to ensure that they conform to your standards and expectations. What else comes with the online casino VIP status? One of the greatest benefits of the programs is having an expedient pay out process. After all, you have a personal accounts manager that is there to ensure that you get your funds within the shortest time possible. From the time that you place your withdrawal request to the processing and release of funds, there is very little time that is wasted. As a VIP, you have access to personalized bonuses. Wouldn’t it be great to receive a birthday surprise bonus? That could be the best birthday present you have had in a long time. There are also high roller rewards that you should constantly look out for at your preferred operator. The benefits of joining VIP programs and clubs are already evident. They are just too sweet to walk away from them. Most casinos have VIP programs with varying terms and conditions. It is important that you familiarize yourself with these so that you know how your chosen program works. It is also common to find casinos that don’t reveal their VIP benefits until you have reached that particular level. The casino exclusive events will often be announced in the online casino’s blog and so be sure to regularly to check them out. However, if you find yourself on a site that is asking you to pay so that you join their VIP programs, chances are that you are potential fraud victim. There is no operator that would ask their potential customers to pay so that they are enrolled in their loyalty programs and clubs. With this tips, it shouldn’t be hard for you to find a VIP program that suits you. All the best!